∫connessioni precarie asked Christos Giovanopoulos from the Dikaioma network in Athens for a contribution to the debate on the European situation towards November 14. 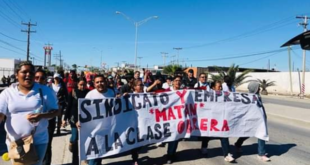 This is not only a correspondence, but the beginning of a dialogue which hopefully will continue, and which aims to build up connections around the strike and against the crisis. November 14 will be an important day. We are at the height of a crisis which, despite the uses and misuses related to the term governance, is unlikely to find a reliable government at all. Despite this, the measures adopted against the crisis purport to govern millions of people in view of a continuously postponed future. On November 14, thousands of men and women intend to strike in order to show that they don’t want to be treated as the current side effects of crisis. For us, to get ready for this date means to reflect on the situation that makes it a pressing and almost indefeasible need. The urgency of the situation is enormous and by now almost unbearable. But it’s not enough. On November 14 Greece will be one of the most relevant places in Europe. There the urgency of the situation has by now exceeded all bounds that one could have imagined just a few years ago. Yet, despite all that, in Greece as elsewhere, it was barely established a social opposition that turns into an overall organization of the differences which are developing within the crisis. The targeted and methodical impoverishment of Greek society happens in a framework which is well-known, but often neglected. The following contribution reports back its clear and chilling outlines. In Greece the pauperization of individual and collective resources aims to produce an overall availability to be exploited. From this point of view, it is almost pointless to speak about a process of precarization. 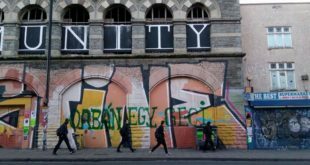 When precarity turns into the general form of capitalistic exploitation, it is not anymore something that can be solved with specific remedies. Precarity is not an exception, it is the rule. It is not only a way to put some individuals to work, but a way of restoring entire societies, of putting them into the European space within the global word society – eventually as Free Economic Zones. Here material expropriation turns directly into political dispossession, due to the absence of the possibility of deciding, even if to a small degree, on one own life. However, there is not a nostalgic feeling about the lost sovereignty of the State. Instead, there is the understanding of the current threat to the power of assuming a collective decision. Material expropriation and political dispossession show that no mystic of territories will save us. Territories are crossed by deep contradictions. While they are bound to defend the reproduction of immediate needs of life, in Greece as well as in Spain and in Italy, territories are crossed by processes that neither begin nor end within their borders. From these tearing contradictions, what emerges is the almost total inaction of representative politics that promises to restate political unity, where it is not possible anymore. From this point of view, Golden Dawn is just the last expression of this kind of politics. It promises not only to impose political unity coercively, but also to reestablish social homogeneity, getting rid of all the domestic enemies, first of all migrants. Still, the inertial force of representative politics is not a Greek problem. It is for all of us an important part of the collective political problem of organizing viable answers against the constraint to unity as a tool to govern the crisis. On November 14 thousands of women and men will assert theirselves in mass within this situation. In spite of misleading unions’ calls, their low reliability, the disillusion which, in Greece as elsewhere, will hang over that day, November 14 could be a mass situation that shows the European shape of our problem, but not its direct solution. All things considered, it will be the day to assert ourselves en mass and not back down. We are aware that it is not a day or an event that will solve our problem; but we are also aware that November 14 could give a different form to our problem because of its mass dimension. Revolution is not behind the corner, as Christos wisely puts it. But this statement shouldn’t be taken as surrender in front of the terrifying violence of the situation. Along with the Greek comrades we know that it won’t be the situation which will give us all that we need to turn the corner. Before and after November 14, we are those who must provide what is necessary to get out of the corner. In contrast with the constructed imagination the revolution is not around the corner in Greece. After almost three years of struggle one realises only how difficult is to undo and deconstruct an entire political and economic system, even if this is trembling, as it is in Greece, indeed. Something one should understand is that in Greece we are experiencing a rapidly developing social destruction on a national level, which does not only include the working classes and the wage earners, but also the petit-bourgeoisie and the lower bourgeois class. More than a 100.000 business have shut down over the last 2-3 years. The tax reform which will be introduced with the third memorandum, due to be voted this week (on the 7th of November), threatens the viability of more than a million small and medium rate freelancers and businessmen, and 600.000 farmers. Regarding numbers, it is important to stress that the population of Greece in the 2011 census was just above 10 million, almost 1 million less than 2001, and also that a huge wave of migration from Greece to EU, North America and Australia is under way. What we are experiencing, therefore, is a process of a high speed and massive proletarisation. This in combination with the condition of precarity as the dominant form of work in Greece (real unemployment is at more than 30%, and youth unemployment is at more than 52%), makes any «traditional» notion of working class politics or even class struggle redundant. This trait is crucial, and opens up a more thorough discussion about the form class struggle takes in situations of crisis in a country with a service based economy, that depends on imports to satisfy its basic needs, and with the small-ownership and self-employment as the main characteristic of its social fabric. In one phrase, however, it is possible to say that the need for a viable policy to defend the whole of the society now, that is in a national level including its productive forces (both as living and materialized capital), has become the main issue of contest and survival for the Greek people. There are many concrete examples of how the memorandums are trying to turn the whole of Greece into a Free Economic Zone (in favor of the Metropolis of Europe, and especially the German capital), a process which entangles in a very closely knit way an all-out class war against the working class, with the imperialist attack against the right of a people to exist as a self-determined society. One of the versions of the third memorandum (the final text still hasn’t been given, not even to the MPs that they need to approve or reject it next Wednesday), states that: “In agreement with the aims of the national policies, the population will have access to basic public goods (water, gas, electricity) and to infrastructures for the national interest, on the condition that this complies with the EU treaty and the corresponding auxiliary legal rules” (bold is mine), the latter being those adjusted to the memorandums. In this ambivalent and challenging context all of us in Greece are tested. On one hand, the radicalisation of Greek society takes many forms (as a result and indicator of the centrifugal forces which kept social classes and dominant political forces together so far), and puts in prominent position the struggle for hegemony. Within this fluid terrain it becomes of core importance how one defines the field, and in consequence the discourses, of this contestation. On the other hand, as a result of this absolute delegitimisation of the political system, of the disarticulation of its ability to produce consensus, and of the rapid social polarisation, we are seeing an emerging political polarisation between the radical left and the fascists, and a (almost) full return to the police State of the post-civil war period in Greece. Using the discourse of “the two extremes” the state and the bourgeois class prepares for a scenario of a possible Greek default and/or a Grexit, a situation in which Golden Dawn may be an alternative to the immediate and total collapse of the dominant political forces, in order to prevent the radical left from coming the power. However on October 28 we had the annual national anniversary of the day of NO celebrating the resistance to the Italian fascists and the German NAZIs. Golden Dawn threatened to take part in it, in an attempt to hijack the national-liberation and antifascist struggle of the Greek (communist led) resistance in the 1940s. But the Greek people, mainly of SYRIZA, who called for the parades to be turned into protests, and to a less degree ANTARSYA and the anarchists, took over the parades in dozens of neighborhoods and the fascists did not appear at all. In Thessaloniki however, the main site of the October military parade, and where the people had stormed last year, the very same day, causing the fall of the Papandreou government, a red zone had been imposed around the site of the officials for the public and even worst for the very first time a new army unit was used to protect the site. This is a dangerous development, and a rehearsal against the «enemy within». In Greece the relation between the State and fascists follows logics which are common to other countries in Europe, but with some difference of a quantitative character. We should not forget that the military dictatorship was only 40 years back in Greece, that its fascist personel was never cleared up by the post-dictatorship «democracy», and that only in one case, back in the radical 70s and because of a blind bomb in a department store, has a fascist has been sent to prison in Greece. The issue of impunity of politicians, police and fascists in Greece, the direct funding of Golden Dawn and other far right groups by the socialdemocrats and conservatives (for their own opportunist interests) the open promotion the neoNazis enjoy by the media (which in the last weeks have adopted a more covered way of promoting them), and most importantly the constant presence of the fascists as a State within a State (especially in the police and –less so- in the army), are not mere isolated cases, and illustrates a different situation, closer to Latin American examples. The Greek «weak state» has always needed the iron fist of nationalism and fascism against the enemy within, especially now that any notion of social consensus collapses and must be replaced by the fear of law and order. So, each time one thinks that now «we got them», the very next moment we realize how far we are from the revolution. It’s more like the ebbs and flows of the sea level. I think the (incomplete processes of the) Arab spring are very relevant to what is happening in Greece and our practices, here in Greece at least, need to be informed by this prior experience, as much as from the Latin American one in the ‘00s. . Most people, especially after the summer, on one hand feel a bit numb, because of the media promotion (and the determined appearance must be admitted) of the Golden Dawn that amalgamated its votes into a substantial and more permanent social presence, and on the other hand the people are asking for something more, something bigger, more radical, more forceful in order to change things, to stop the Troika, the government, the banks etc. This shows both the ineffectiveness of the tools, tactics and political culture of resistance so far, but also the heavy dominance yet of «representative» politics. Many say: «we should hold up arms»… «blood needs to be shed in order things to change» (these phrases are very commonly used by ordinary and not necessarily politicised people) but hesitate to act on their own. At the same time they confirm their willingness to participate and do something in small scale, local struggles (solidarity networks, participation in strikes etc.). For example the participation in the last two general strikes and in the respective marches was beyond any expectation, more than 100.000 in Athens and more than 250.000 in Greece, with the participation of small businessmen who closed their shops in many cities. However, this happened without any serious mobilisation of the trade unions, equally delegitimised in the public opinion, due to their defensive position. It is a situation in which the trade unions set up the date and make a general call and the people participate while they know that what they’ve been doing is not enough, that it will not lead anywhere, but they feel the need to be counted en mass and not back down. What emerges from this situation is, first of all, the lack of a political end or subject in this conflict, one that could provide an alternative context, that could converge the galaxy of small struggles into one main goal, one that will take the responsibility, the risk and the cost of fighting for this goal. This is the main thing lacking from SYRIZA. The only force which provides that, presenting itself as a saviour of the whole nation, in a simplistic as it is, dangerous and in synch with the dominant ideology, is Golden Dawn. This in combination with its anti-political, anti-system rhetoric is the main reason for its growing strength. Second, this environment marks a qualitative change from a previous period, within which we are all tested on a collective and personal level. Imagine how one feels if s/he feels that they may be targeted by Golden Dawn thugs in his/her neighborhood? Or on the level of central politics what it would mean to raise a social movement to topple the government or the political system without feeling able to do it, or without having a viable alternative and social forces to support the latter, with the fascists around the corner as the system’s plan B? It is only now that a new kind of activists and left radicals, more determined in demanding conditions, and not in the luxurious ones of the last 30-40 years, would start to emerge. So the question in Greece is how we can stop the deterioration of the existing situation and, furthermore, by doing so how we can build the social and political conditions and a movement ready to follow through all the way towards a social change. The strike on the 14th of November is a positive development, also for the changes in an imagined level, of how we talk about the crisis, what kind of alliances and struggles we can use, as a step for the emergence of a different transnational configuration of regional geopolitics, and not only through the EU formation. In Greece often in recent years international calls used to be very attractive. They expressed not only internationalism but in a weird way were an effect of a dominant rhetoric of Eurocentric progressiveness, which resulted the Greek people to look elsewhere for answers and wanting to be synchronised with the «latest global fashion». This is a positive, albeit contradictory, feature which we can build on. However, there are concerns about the effectiveness of the strike. Regarding precarity, in Greece this is the prevailing condition and also the trade unions just call the strikes but the people (or the multitude) materialise them with low level (e.g. in working sites that a specific industrial dispute is going on) or informal mobilisation. If only the unemployed participated this would mean some hundred thousand people on the streets. This raises the question about what one means by general strikes any more. Also we have to keep in mind the overuse and misuse of the term, and medium of struggle, in Greece by the systemic trade unions, too. It may sounds a big thing in the ears of a European but general strikes in Greece are not considered something so peculiar and so they have lost a lot of their radicality. The main issue though regarding the success or not of the 14th of November strike is that the 3rd memorandum will enter the parliament on the 5th and will go for voting on the 7th of this month. This defines in Greece the next important battle. If the two dates had coincided, then the transnational strike would have added a lot to the local one. The voting of the memorandum is another indicator of the state of “parliamentarian dictatorship” of the Troika regime in Greece. It will be voted as an emergency case, which is ironic since it has been in preparation for more than 4 months now, and in reality regards the measures that Greece should have adopted almost a year ago, after the 26th October 2011, date of the second bailout. In addition, the whole memorandum and austerity measures would go under one article, that means as a solid package in a desperate attempt of the coalition government (the so called internal Troika) to avoid the refusal oftheir MPs to some really outrageous reforms, especially those related with pensions cuts and deregulation of the labor market. SYRIZA’s tactics against the 3rd memorandum consists of: trying to stop it entering the parliament, to try not to be voted by the parliament and, if it’s being voted, to try to blockade its implementation. It is a good tactic but until few days ago SYRIZA hadn’t shown any activity on the level of organising itself and the people for such a conflict. This has to do with the awareness, on the part of SYRIZA, that any failure of the passing of the 3rd memorandum would lead to new elections now. In that case SYRIZA could possibly become the largest party, it would need to form a (minority) government, because nobody else would form an alliance with them. Many fear that this is an alternative plan of the systemic political forces in order that the bomb of a default and a Grexit explode in SYRIZA’s hands. However the dilemma is not if SYRIZA feels ready to get the country out of this vicious circle of debt and memoranda, but if it wants to lead the struggle of defending the lives and future of the Greek people. Last Thursday, Lafazanis, a SYRIZA MP, leader of the left tendency of Synaspismos (the largest party of SYRIZA), a eurosceptic and workerist, said in a TV panel that SYRIZA is not ready to be in the government. This of course was a present to the pro-memorandum forces, which the day before managed to pass only with two votes majority the absolute privatisation of the public utility services in Greece – one of the necessary preconditional reforms the Troika has asked in order to issue the next instalment to Greece. Even the right-wing papers had front titles like “the system is trembling” – “uncertainty for the memorandum” etc. Of course his claim caused the outrage of the left , including the majority of SYRIZA voters and members of Synaspismos, while the media used it imensely on the benefit of the system (there’s no other alternative etc.). It was that incident that, in one way, shook the top cadres of SYRIZA up a little, and mainly Tsipras, and caused them to call for maximum mobilisation until next Wednesday, which means participation in the two day general strike of the 6th and 7th November (Trade Union rally on the 6th and besieging of the parliament on Wednesday evening the time of voting). The result of these days of struggle will determine the fate of the 14th of November. The sentiment is that with another defeat, and complete destruction of whatever was left of a welfare state, if the 3rd memorandum is accepted, will mean it will be very difficult to cause a new wave of rage, with depression more possiblel outcome. So far there is no reference to mobilisation of this strike, only in small leftist circles and through facebook and social media. It may seem paradoxical but those who emphasize, without doing anything practical to organise, the 14th of November strike, including some of the top cadres of SYRIZA (mainly of Synaspismos) are the same ones that undermine the probability of the Greek people to prevent the third memorandum from being voted and do not dare to cause the government to fall. This has to do with their belief that there is no other solution than on the European level, so they rule out any other probability that may cause a fissure in the EU architecture and a conflict of Greece with EU structures. In general terms, a particularly strong mobilization by the Unions should not be expected. Maybe the political groups that make up SYRIZA and the extra-parliamentarian left, who relate to small grass-root unions, will mobilize more, but up to now the only movement we have seen have been personal calls in facebook. 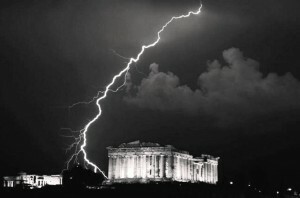 However in Greece we say that political time is condensed in this period and this makes any prediction risky. The lack of a movement with a strategy (and organising force to implement it) does not help either.